When it comes to fuel economy, most drivers believe that the only thing they can do to reduce the amount of gas their vehicle uses is to stop driving. 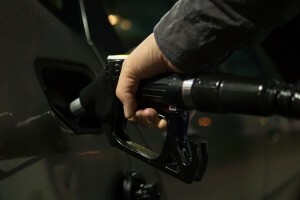 However, there are many ways that each and every driver can positively impact the amount of gas their car uses without having to give up driving. With years of experience helping drivers perform their own synthetic oil change by providing high-quality AMSOIL engine lubricants, Bill Rigdon AMSOIL Dealer knows how a car engine operates, and how to get the most out of it. For this article, Bill Rigdon AMSOIL Dealer has some easy to follow tips on how to reduce your fuel usage. How much fuel your car uses depends on how hard the engine has to work. Check your tire pressure every couple of months. The correct tire pressure can reduce the friction between your tires and the road, making it easier for your car to move. If you are driving around with a trunk full of tools or sports equipment that you aren't going to use that day, take it out. The lighter your vehicle, the less the engine has to work. There are a number of fluids that your car requires to operate efficiently, the primary two being your motor oil and coolant. Always ensure these fluids are topped up and fresh. If your engine oil looks old or dirty, instead of topping it up, perform a synthetic oil change. A synthetic oil change provides your engine with superior lubrication, allowing each component to operate smoothly. The smoother the operation, the less energy needed for operation. If you are not sure which is the right AMSOIL engine lubricant for your car, check out the website or speak with an expert from Bill Rigdon AMSOIL Dealer at (503) 329-9004. Easier said than done, right? Wrong. There is a lot that you can do to reduce the amount of time that you are stuck in traffic, and, in turn, left wasting fuel as your car idles. Many drivers have been following the same route for so long that they forget there are other ways to get to their regular destinations. Better ways. Use an online mapping service which highlights which time of the day each portion of your route is likely to be busy, and plan around it. As you are planning out your weekly errands, look at ways you can re-arrange your destinations to reduce the amount of miles you drive. If your dry-cleaner is on the way to band practice, however, they are on different days, simply moving the day you pick up your dry cleaning can remove an entire drive. This is often the hardest tip for drivers to employ. However, it can have a significant impact on gas usage. When the traffic light turns green, resist accelerating to the speed limit as fast as possible. Instead, slow down your acceleration. If you see a red light approaching, start slowing down earlier than usual. Your engine requires more gas to start from a standing stop then it does to accelerate while moving, so try to cut down on the number of stops and starts you need to do. As you accelerate, listen to your engine and change gears accordingly. If you hear your engine struggling, instead of pushing it for more power, change gears. While this may result in slower speeds, it can also mean less gas usage. One of the biggest users of your fuel is your air-conditioning. To operate, a separate belt needs to engage on your engine. This adds a significant strain to your engine, requiring it to work harder and use more fuel. If you are just driving around the city running errands, switch off your air-conditioning and wind your windows down. The easier it is for the components inside your engine to interact with each other, the better the performance it can achieve and the less fuel it will use. To help your engine operate smoothly, give your car a synthetic oil change using high-quality AMSOIL products. To make sure you get the right product for your engine, speak with a synthetic oil change expert at Bill Rigdon AMSOIL Dealer by calling (503) 329-9004. Years of experience matched with a wide selection of high-quality AMSOIL products mean that you will get the best engine oil for your car, helping you reduce your gas usage.